Like a snarling beast charging towards its unsuspecting prey, the all-new 2012 Jaguar XKR-S is a startling automotive predator. Yes, you heard right: Jaguar. The brand that’s been more recently known for quiet refinement, sophistication and comfort has shredded its three-piece suit and gone feral. If you craved speed in the not-so-distant-past, a Jaguar dealership would just be a speck in your rear-view. Not to say that Jags couldn’t move – the brand was simply more about style, status and luxury than performance. But as of late, Jaguar has been trying to get back in the fast lane. It’s been turning to its roadster past, remembering memorable autos such as the iconic E-Type of the ’60s and the XJ220, which held the title for highest top speed of a production car from 1992 – 1994. The last few iterations of the XKR, for example, may not have appeared as aggressive as the similar style of the Aston Martin DBS, but the menacing growl of its 510 ponies was cower-inducing. Even the newest XJs are impressively quick. 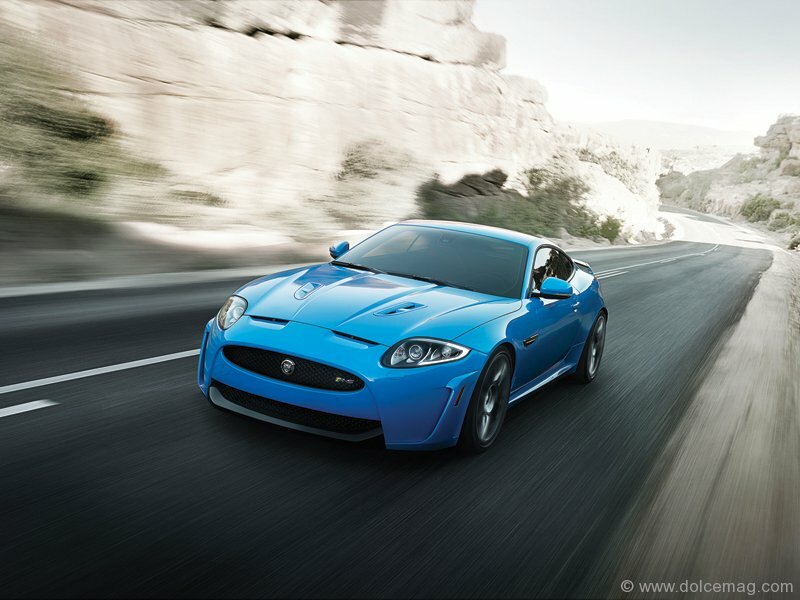 Jaguar is serious about speed, and the XKR-S is its trump card. The moment you plant the pedal, this beast makes is presence known, and boy, does it ever sing. The XKR-S’s recalibrated 5-Litre V-8 engine roars as if it’s on a thunderous vendetta. The machine-gunning is amplified through the Jag’s free-flow exhaust system, producing a sound that will make gear heads melt. And while the engine’s growl is arresting, when you pull back the throttle, the XKR-S tones down the vulgarity, bringing back that polished Jag poise. The supercharged V-8’s blistering drumming isn’t just for show, either. 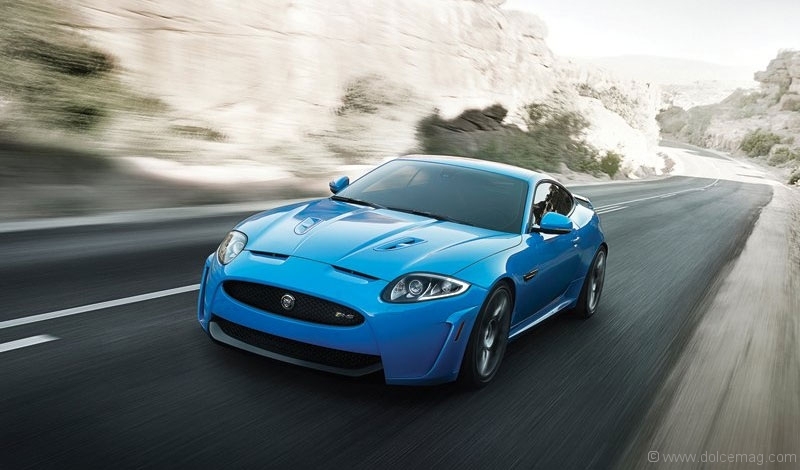 Serving an additional 40-horsepower and 41 pound-feet of torque over the standard XKR, the XKR-S pumps 550-HP and 501 lb-ft of torque through the rear wheels, making this Jaguar’s most powerful car on the road. 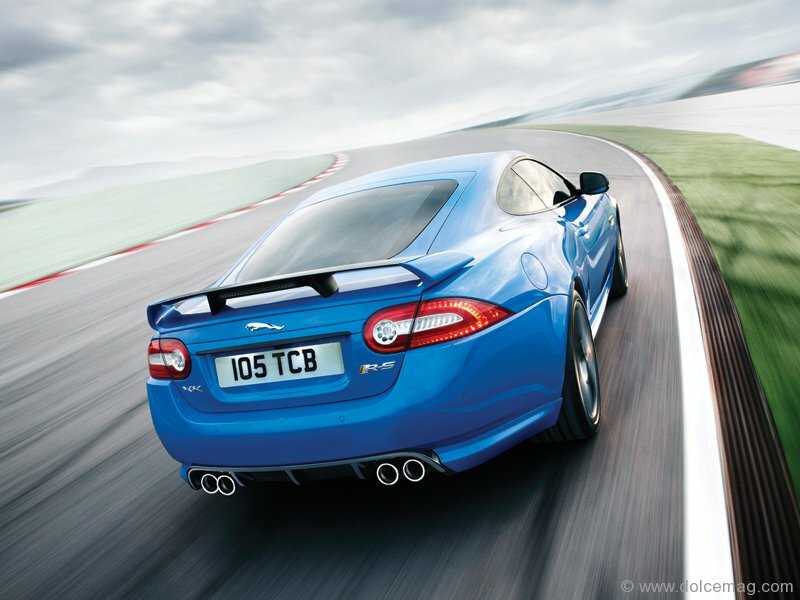 It peaks at 300 kilometres per hour and can reach 100 km in 4.4 seconds – astonishing speed, especially for a Jag. So much so that the XKR-S can easily hang with other sports coupes like the Mercedes SL 63 AMG, Aston Martin DBS and Audi R8 4.2. To help keep the ferocity under control, Jaguar has fitted the XKR-S with a lightweight aluminum body and stiffer suspension, making steering far more precise. 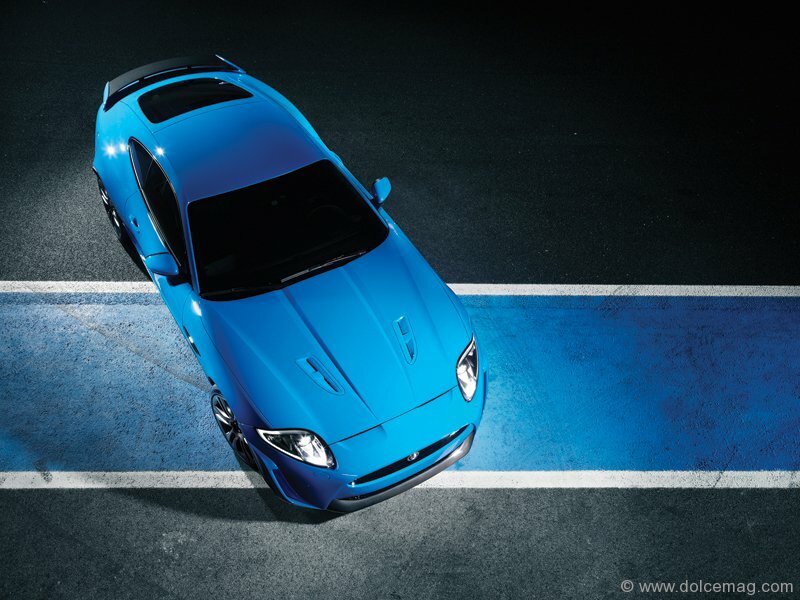 Even at high speeds, the XKR-S’s responsive handling keeps it planted in the corners. If you’re daring enough to disengage its traction-control collar, though, it isn’t afraid to flick its tail out. With its knife-fighter agility, you’ll be able to make this beauty dance on the track, no question. Speaking of beauty, the XKR-S is a strikingly handsome machine. And while, again, it might not be as imposing as its Aston cousin, you certainly won’t be afraid to show it off. Inside, that Jaguar luxury is still present. Optional Reims Blue micro-piping and stitching accents the interior’s soft grain leather, while blue ambient lighting glows behind the dash. 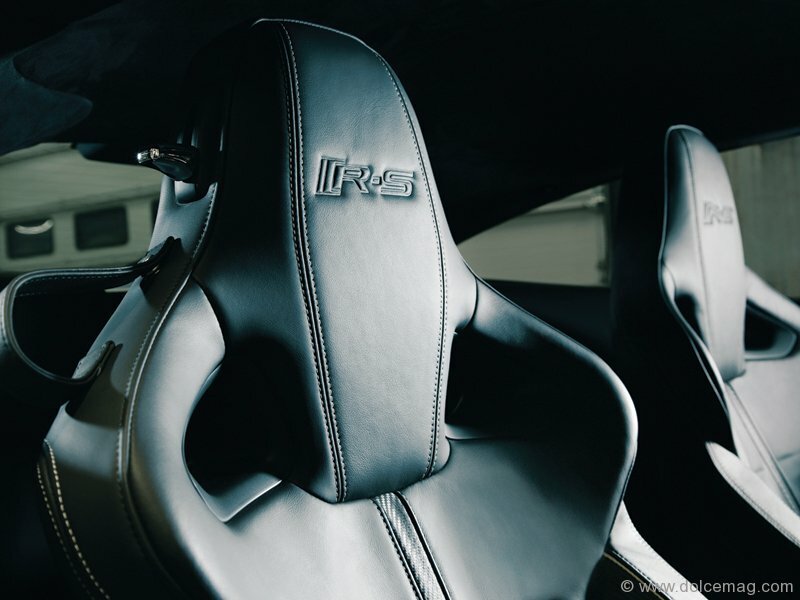 Door panels are accentuated with carbon leather detailing for extra style and special performance; 16-way adjustable seats are correspondingly upholstered and exceptionally comfortable. You’ll find a 7-inch touch screen with satellite navigation, Bowers & Wilkins 525 W sound system, and Jaguar’s futuristic JaguarDrive Selector, which rises from the centre console once the cat comes alive. The XKR-S is a bold departure for Jaguar, built with one thing in mind: speed. It’s a car that demands to be seen, discarding Jag’s usually discreet demeanour. It wails without restraint and moves, fittingly, with feline dexterity. If you’re on the prowl for a sporty, swift ride stamped with status and prestige, track down the XKR-S – it’ll make you purr.